So what is your attitude today? Hopeful, joyful, pessimistic, irritable...? Is this temporary or your long range outlook? 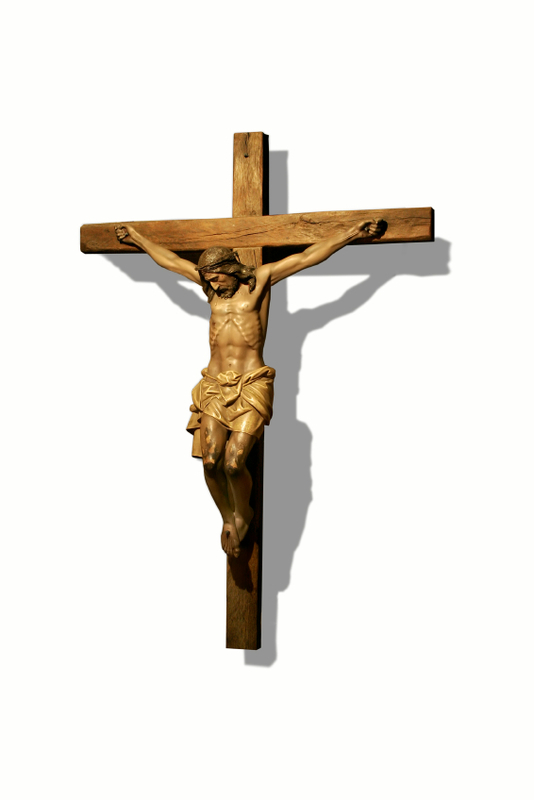 On Good Friday a wooden crucifix much like this was used at my parish to venerate the cross, to remember and honor what Christ had done for each of us. I was in one of the first few pews with the other Sisters so we could see what was going on. 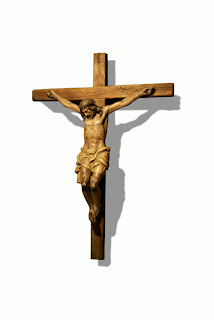 I was very touched by the humble expresssions of love for Christ and His ultimate sacrifice. Actually, so much so that I teared up. The cross was being held low so to kiss Christ's feet (which many people did) one had to kneel down and then bend way down. This gesture of love and appreciation was difficult for many of the young people present. The discomfort and self-consciouness was evident for many of them. Yet, this will pass over the years as they dig deeper into their faith. It is easy to get caught up in what others think about me and are they judging me. Yet, as we grow older we are not (hopefully) caught up in what others might think and our actions and choices are more and more based on our faith and morals. Holy Week is quite an array of feelings--jubilation on Palm Sunday, the intimacy of the Last Supper between Jesus and his apostles, the terrible grief and suffering on Friday, the empty shock left on Saturday and the joy that comes with Easter on Sunday. Mark being confirmed at my parish. We have many "Good Fridays" in our lifetimes. Those events that cause us deep pain. We can choose to live in a Good Friday-space and live with jaded attitudes. That is a choice we have. The other choice we have is to look for the resurrection that awaits, seek understanding with open hearts and eyes of faith. Our "Holy Saturdays" tend to last for extended times beyond a day as we try to make sense of all the suffering. Hopefully, for you it is much more condensed than the week of creation! How do you share your faith? How do you share Christ's resurrection and those resurrections you have experienced in your own life? because he has anointed me to bring glad tidings to the poor.